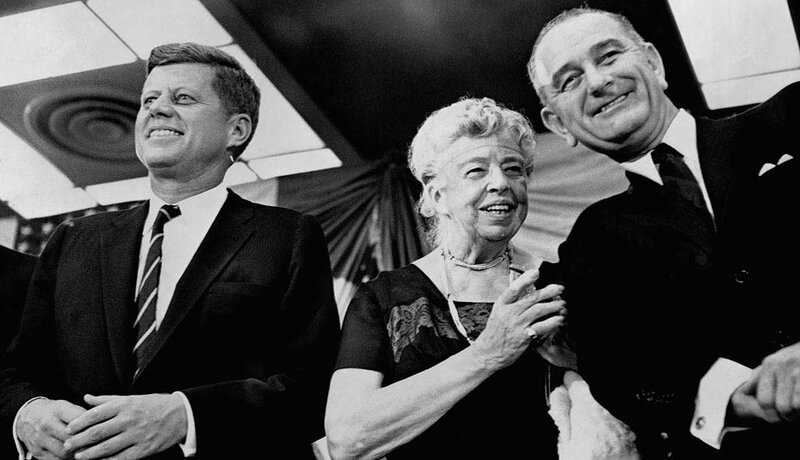 En español | Although Sen. John F. Kennedy of Massachusetts did not formally announce his presidential candidacy until Jan. 2, 1960, he had been setting the stage for several years. 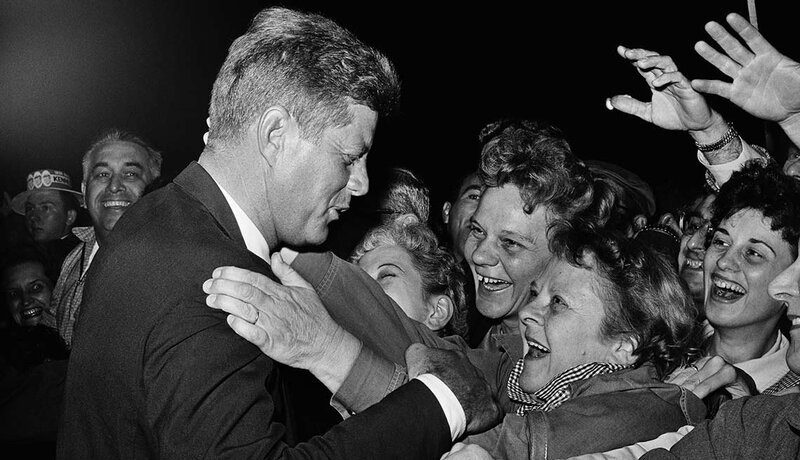 Here, the aspiring Democratic presidential nominee greets fans after a 1959 appearance in Seattle. 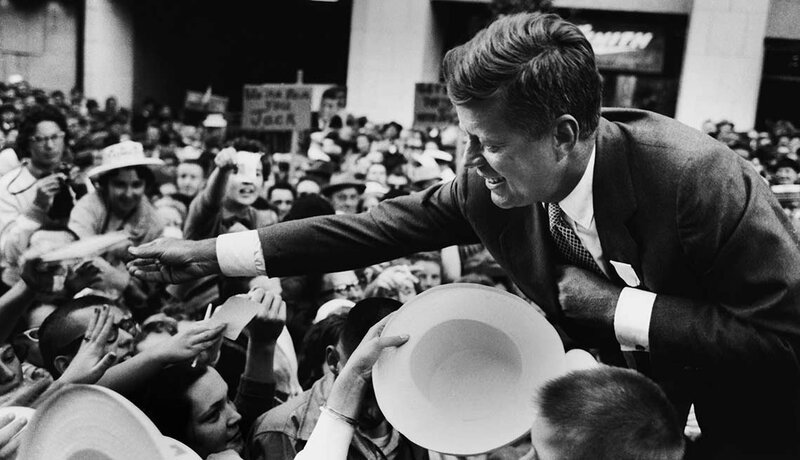 Officially announced, Kennedy made a whirlwind, one-day campaign visit through the state. 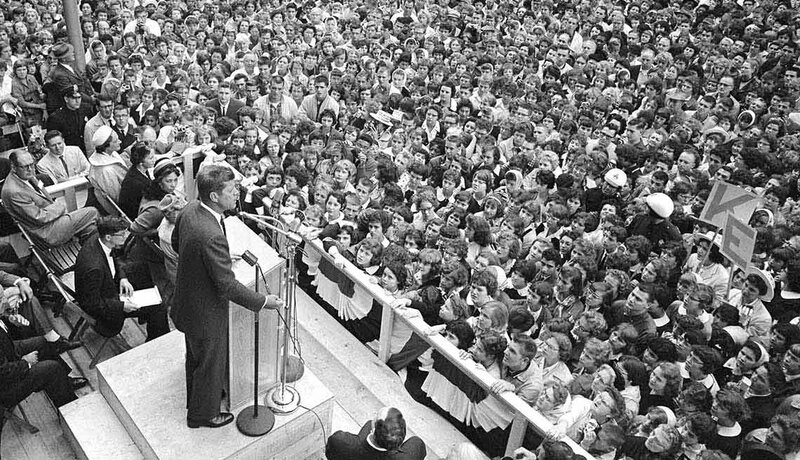 Attendees at Flint's Atwood Stadium left no doubt as to whom they wanted for president. 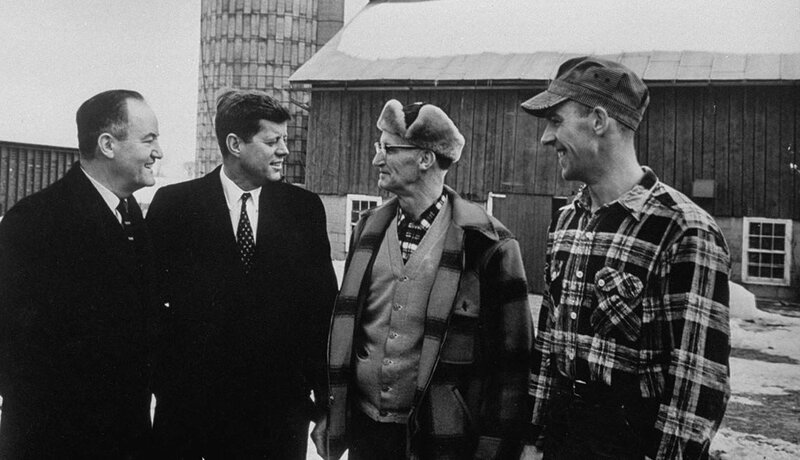 The campaign brought Kennedy, scion of a wealthy East Coast family, face-to-face with hardworking Americans who literally lived off the land. 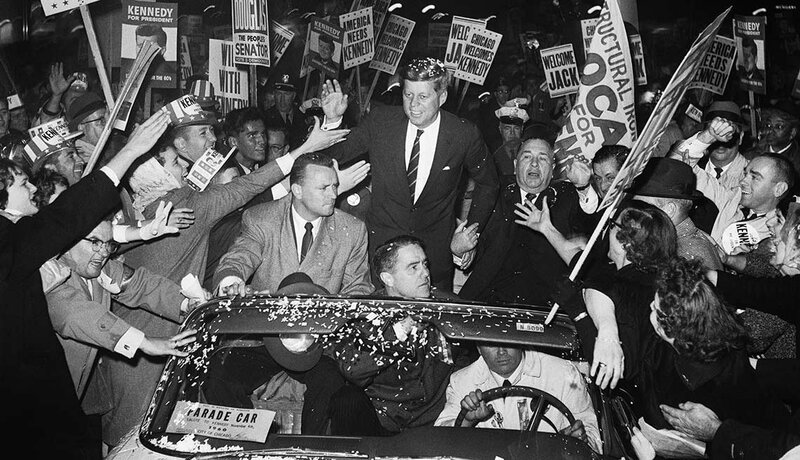 Kennedy campaigns with Chicago's mayor, Richard J. Daley, as supporters swarm his motorcade. In Denver, eager, outstretched hands seek a chance to touch the presidential candidate. 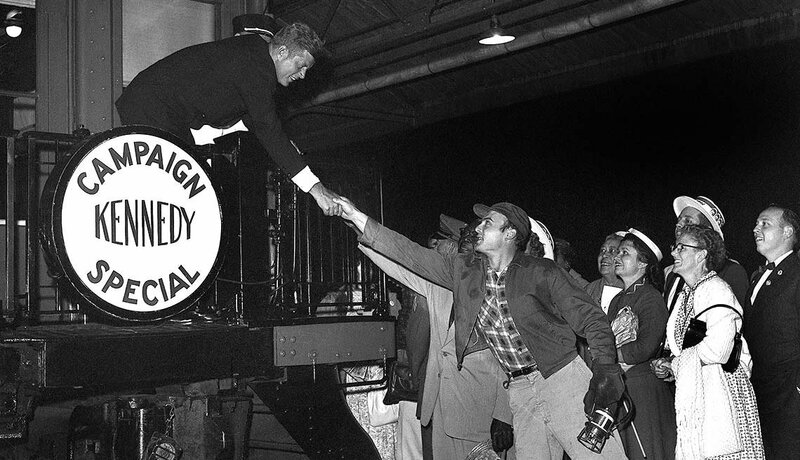 Kennedy shakes the hand of a well wisher shortly after boarding a train for a whistle-stop tour of California. The candidate appears before an enormous crowd gathered outside the Lawrence Hotel in Erie. 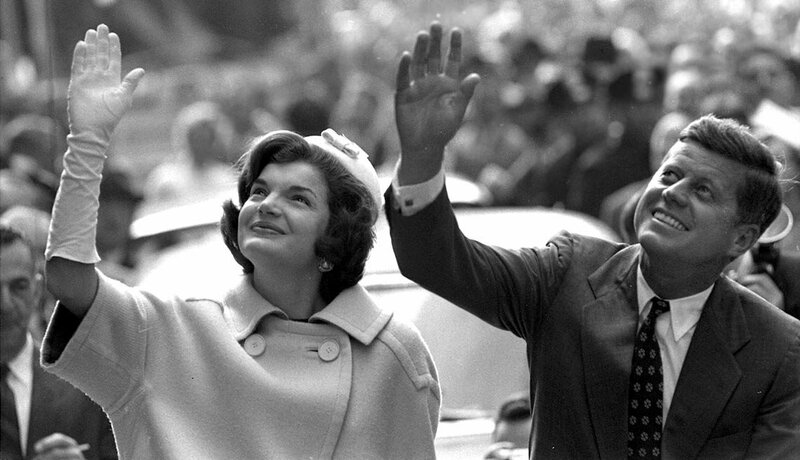 John and Jacqueline Kennedy (pregnant with their son, John Jr.) wave to supporters in Manhattan. 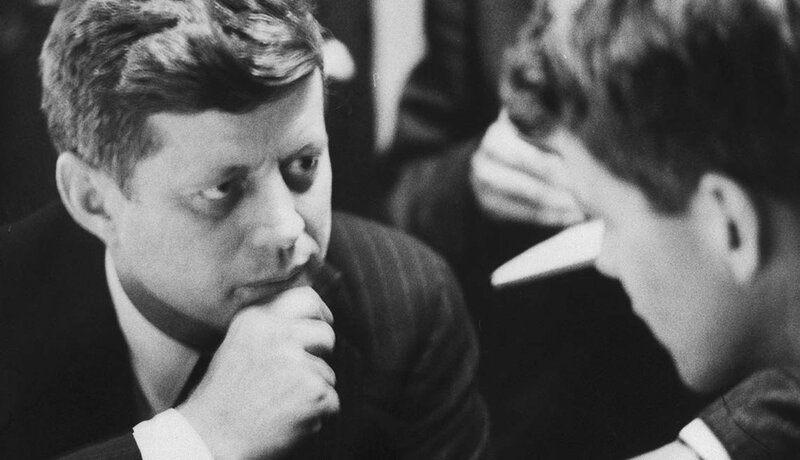 Back at campaign headquarters, Kennedy confers with his younger brother Robert, who he would later make his U.S. attorney general. 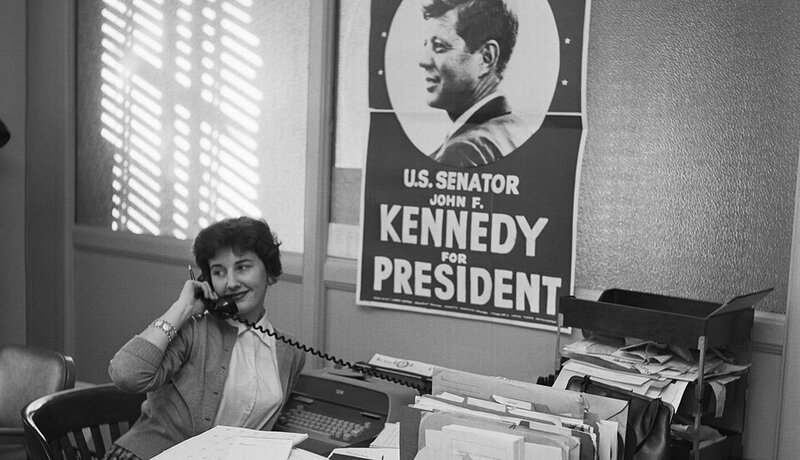 A campaign staffer from Miami works beneath an image of her candidate. 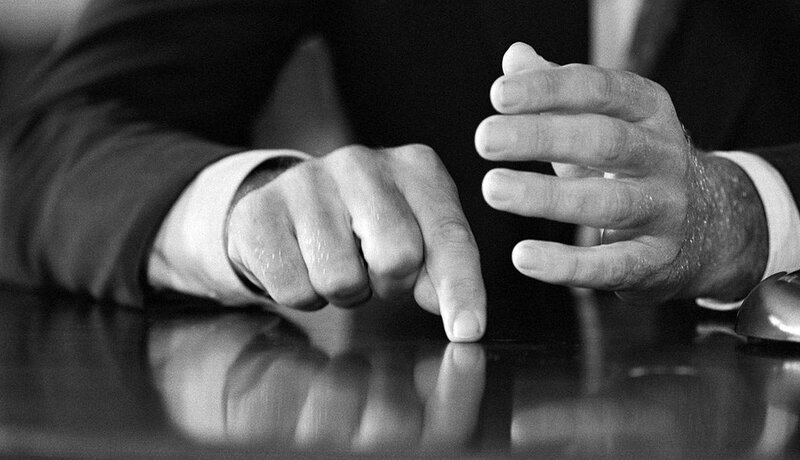 JFK's hands and gestures attracted a photographer's attention during a Capitol Hill news conference. 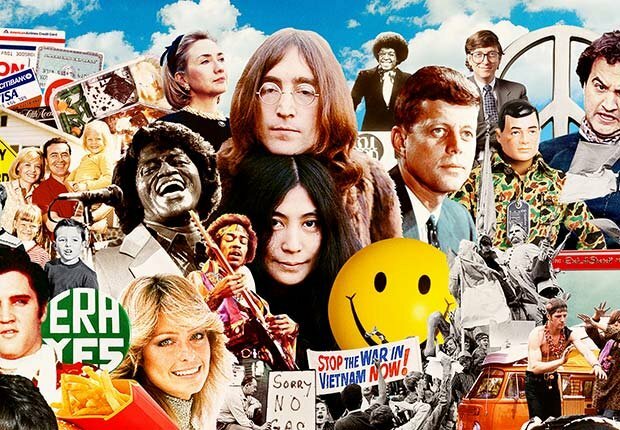 Share your stories and help advocate for political support to protect your future. 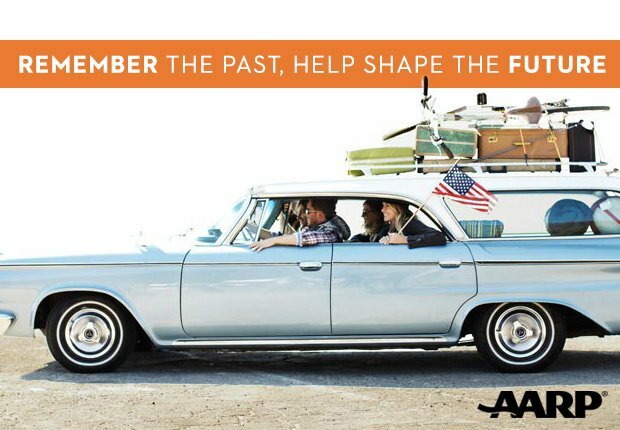 Join AARP to support living with dignity and purpose. 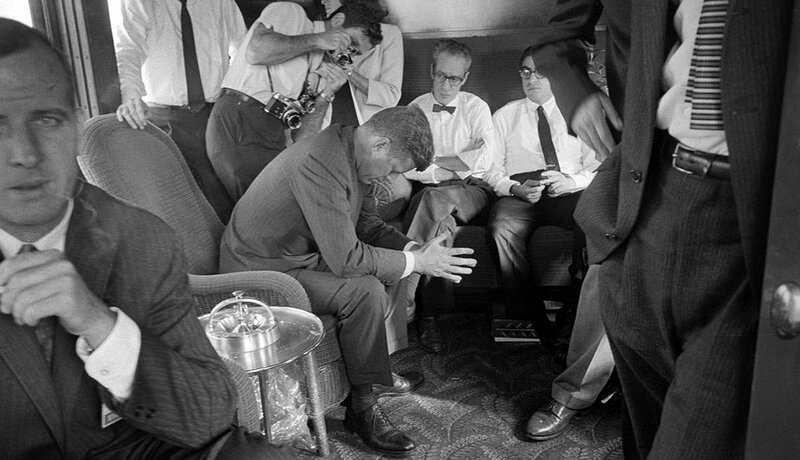 The weary candidate, surrounded by staff and press in a train car, nears the end of a northern California railroad campaign. 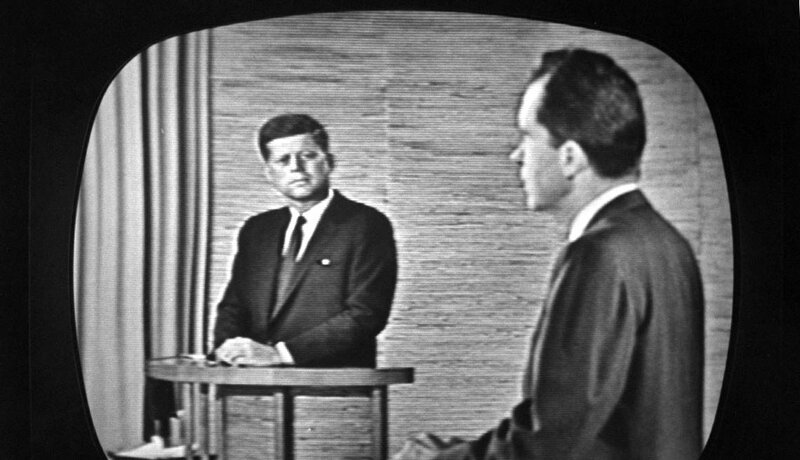 On Sept. 26, 1960, Kennedy and his Republican rival, Richard M. Nixon, made history during the nation's first televised presidential debate. 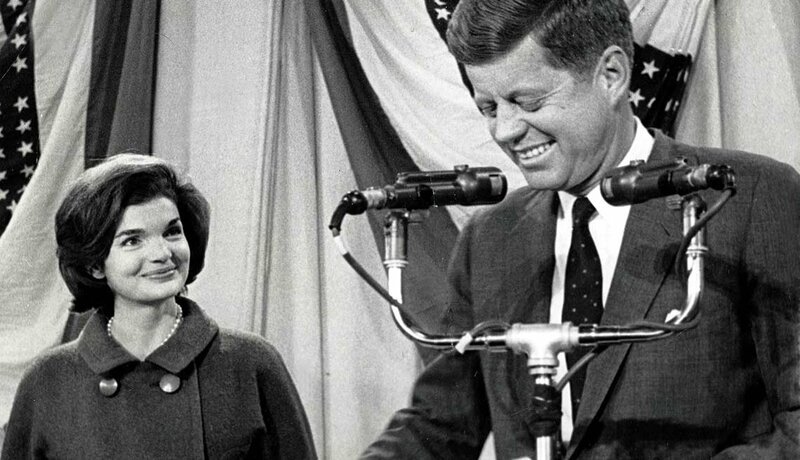 Many credit the broadcast as being key to JFK's Election Day win. 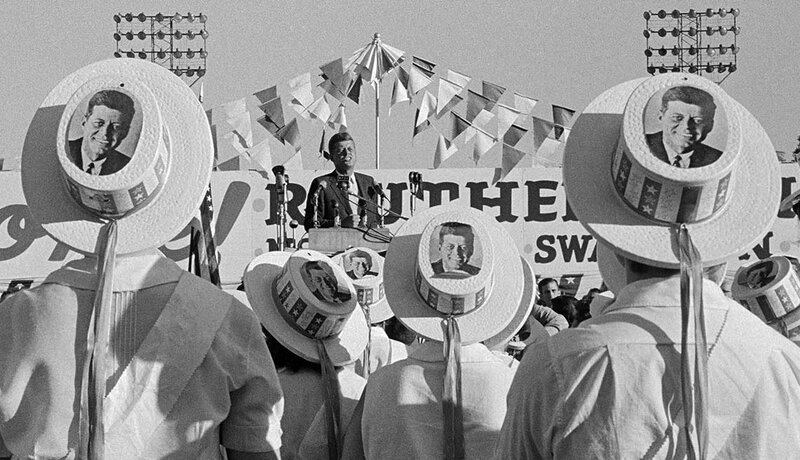 Eleanor Roosevelt, the former first lady and widow of Franklin D. Roosevelt, appears at a New York rally to support Kennedy and his running mate, Lyndon B. Johnson. 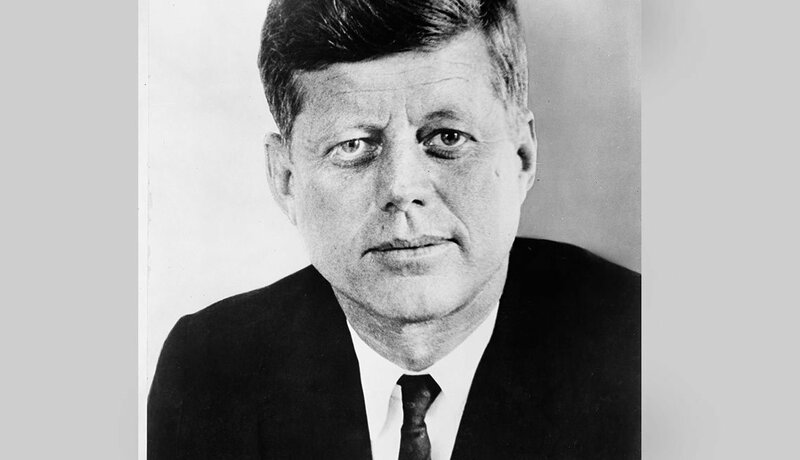 Kennedy joins approximately 67 million voters in casting a ballot on Nov. 8, 1960. The Democratic candidate, a native of Boston, voted in the West End branch library, Ward 3, Precinct 6. 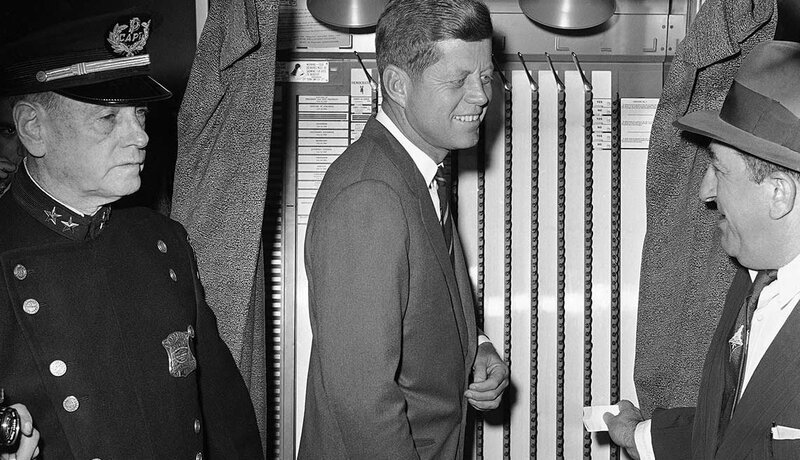 With wife Jackie at his side, John F. Kennedy appears in Hyannis Port on Nov. 9, 1960, the day his election victory is announced. 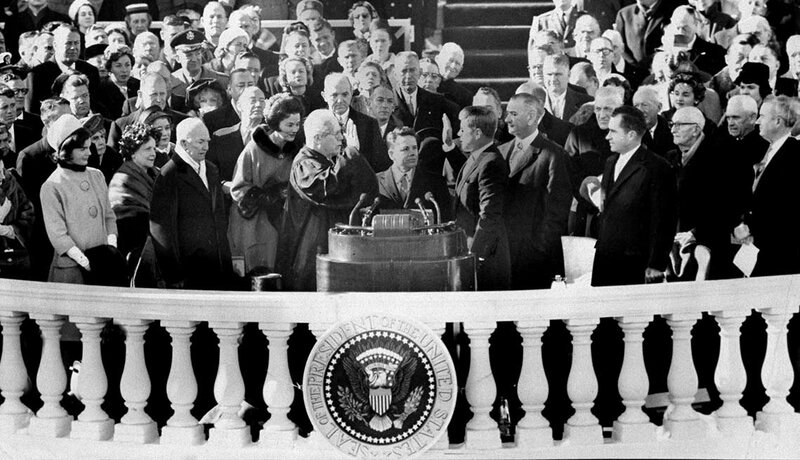 Among those visible nearby on Jan. 21, 1961, as Earl Warren, chief justice of the United States, administers the oath of office to JFK: Jacqueline Kennedy, former President Dwight D. Eisenhower, Vice President Lyndon B. Johnson and former Vice President Richard Nixon. 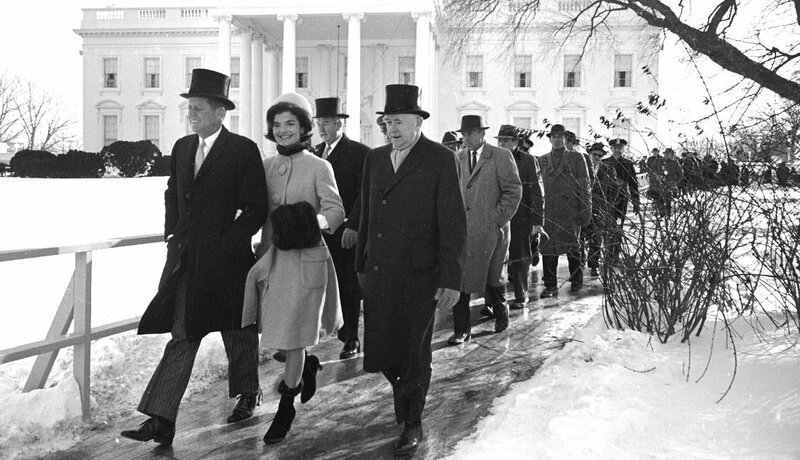 John Kennedy, Jacqueline and others walk from the White House on a frigid Inauguration Day. 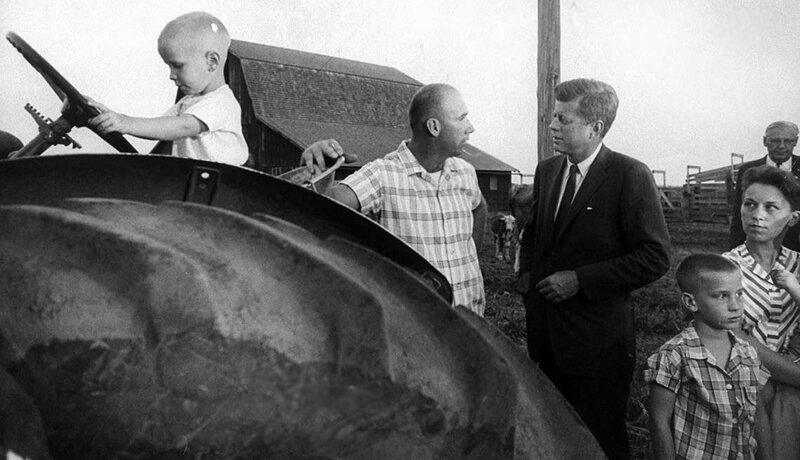 See more Kennedy slideshows, read remembrances and share your memories at www.aarp.org/JFK. 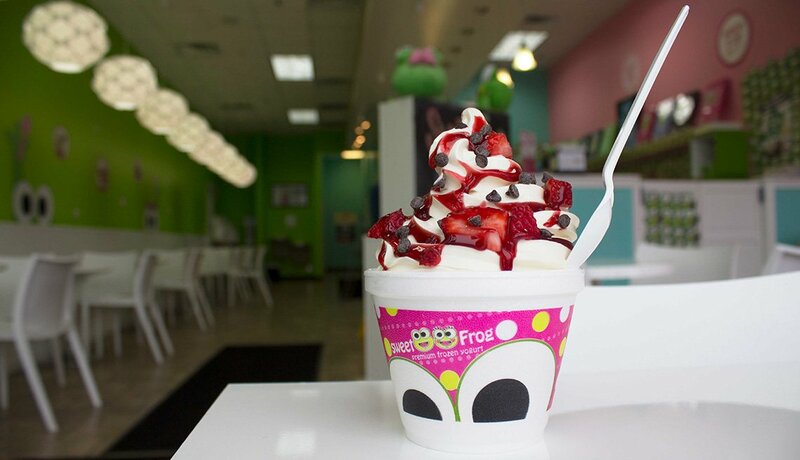 You've Got To Be Kidding — That's Outrageous!